GreenhouseReviews.co.uk is run by a team of garden enthusiasts who have many years of experience in garden buildings, especially greenhouses. Basing their reviews on impartial and independent facts, figures, and their own experiences, GreenhouseReviews provides in-depth reviews on some of the most popular greenhouse ranges and brands available to buy in the UK, as well as a selection of the top retailers who sell them. Assembly - How easy or hard the greenhouse is to install yourself at home. Quality - The quality of the materials used and the durability of the overall structure. Range - How many sizes, colours and accessories are available. Value - How the price of the greenhouse compares to similar on the market. Warranty - How long the manufacturer"s warranty or guarantee is as standard. Greenhouse Reviews rate every greenhouse range, brand or retailer with our own in-house scoring system, giving you a summary of the overall rating, so even if you don"t have time to read their full review, at least you"ll be able to see the score rating and compare it to other models you"re interested in purchasing. UK based business providing information on greenhouses. 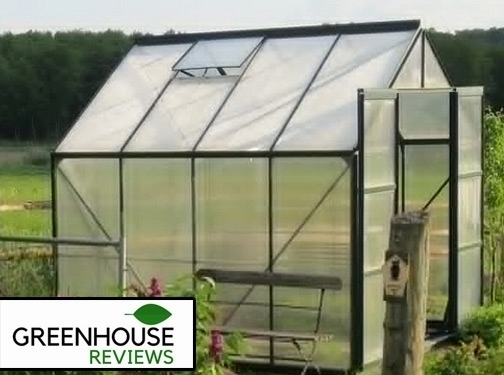 Website includes greenhouse reviews, contact form.